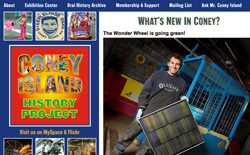 The Coney Island History Project aims to increase awareness of Coney Island, past and present, by creating an oral history of the area, sponsoring educational exhibits, tours, and events, and providing access to historical artifacts and documentary material. Maria designed and programmed the website and the database that powers the site. The Museum of Jewish Heritage's Online Collections publishs highlights from the museum's powerful and moving collection of stories and objects. 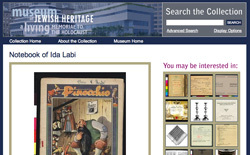 The Online Collection won Museums and the Web's 2009 Best of the Web Award. Maria designed the website and was a project programmer. 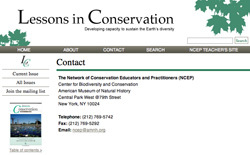 Lessons in Conservation (LinC) is the official journal of the Network of Conservation Educators and Practitioners at the American Museum of Natural History. LinC issues are available for download through this website. Maria designed and programmed the website and the database that powers the site.